Thinking about having your wedding in Lake Tahoe? You won’t be disappointed – Lake Tahoe’s gorgeous landscape and various seasons make it one of the best places to recite your vows to the person you love most. If you’re looking for something romantic, but adventurous, you’ve made a great choice! Lake Tahoe, while breathtakingly picturesque, is also wildly shifting – in weather, seasons, and temperature. Whether you have been to Tahoe before, or this is your first visit, here are some essential questions to think about to ensure you and your guests experience the best the region has to offer. 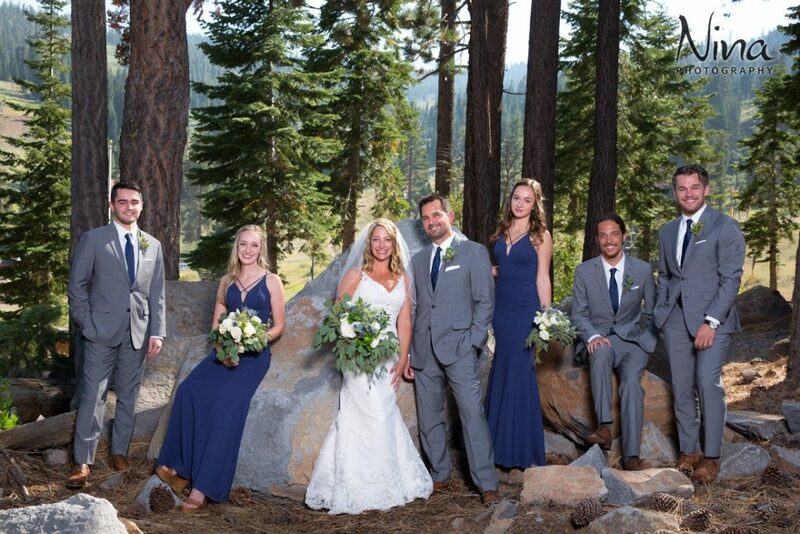 What is the best season for a Lake Tahoe wedding? This is an important question. Each season in Tahoe carries a different perspective and feeling – there really isn’t a “best”. What is the vision you have for your wedding day? Are you on a powdery white winter mountain; the snow sparkling around you? Or are you standing on a pristine sapphire beach in the summer? Maybe you are planting your first kiss as husband and wife amid a golden Aspen grove in the fall. Or are you and your guests surrounded by butterflies and spring wildflower blooms high on a mountaintop? Whatever you choose, a truly magical wedding experience is possible. Remember though – weather is unpredictable in the mountains. Summer days can bring a rogue hail storm, spring can be chilly, fall is known for unexpected snowstorms, and an unplanned winter blizzard can derail your guests as they travel. What is the best location for a Lake Tahoe wedding? The lake shore in Tahoe can be overwhelmingly gorgeous, and it works perfectly for a nautical or beach theme. If you’re looking to have your wedding by the water, then you will probably want a summer or fall wedding. If you’re planning on a winter wedding, you won’t be disappointed. 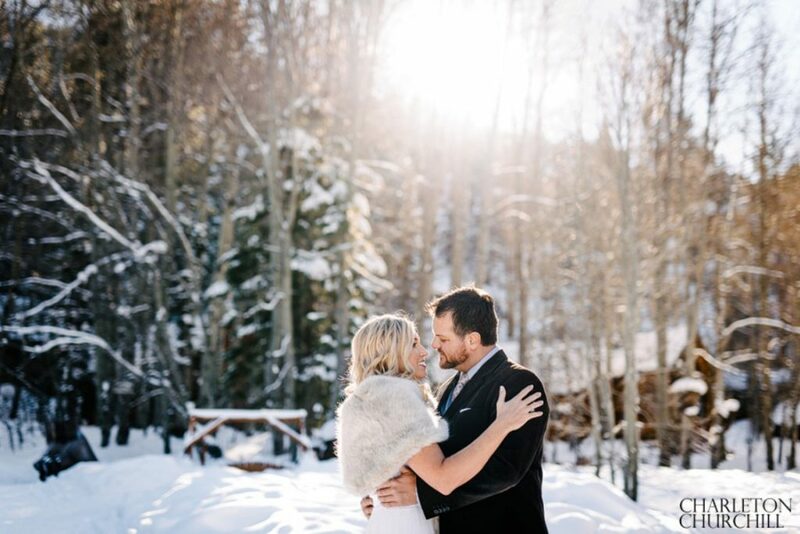 Many of the local ski resorts offer wedding packages that will have you and your guests experiencing the best of Tahoe’s powdery mountains. What will my guests do? Thinking about your guests when making these key decisions will make your wedding more enjoyable for everyone. Reno airport is only 35 miles away – great for guests that need to book flights. 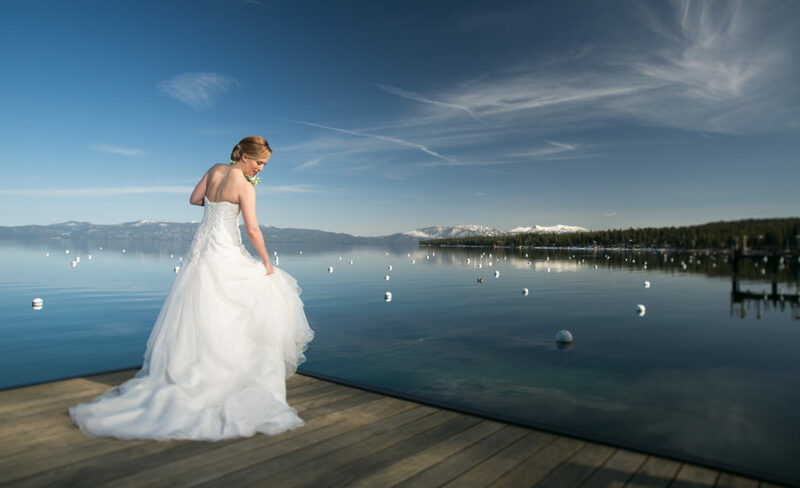 Lake Tahoe is a superb choice for a wedding as it boasts endless adventures – there really is something for everybody. What do most of your guests like to do? Depending on the season they can enjoy hitting the slopes, rafting down a river, hiking through forest trails, mountain biking, paragliding, or just chilling on the beach with a good book. Make sure to reserve a room block in one of the many hotels for your guests. Besides getting a discount, they can plan excursions together. You really can’t lose with Lake Tahoe as your wedding day backdrop. Just remember to keep an open mind and have a backup plan if your wedding will take place outdoors. Be flexible, consider your guests, and sit back and enjoy all the Sierra Nevada’s have to offer. It will be a day that you’ll never forget.